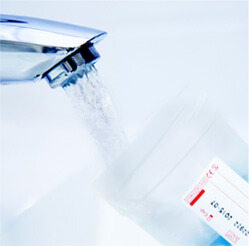 ALS Life Sciences offer comprehensive analytical Water Testing in Ireland we can test domestic water supply and also private drinking water well supplies – Order a Water Test Online Now! Whatever your testing requirements, be it analytical testing of food, drink, dairy, water, pharmaceuticals or any other testing matrix, ALS Life Sciences provide a comprehensive range of microbiological, food and environmental chemistry and residue testing services combined with industry leading technical expertise and customer service. ALS Life Sciences is the recently rebranded trading name of Advanced Micro Services & Environmental Laboratories Ltd, based in Clonmel. ALS Life Sciences is the Irish food testing division of the ALS Group. Bottles can be dropped off at any of our 4 sites or you can return by post. Cert of Analysis will issue within 10 working days of receipt of your water bottles by the lab.